All skin types of all ages can enjoy this gentle, all-natural bar, making this an excellent choice for the whole family. 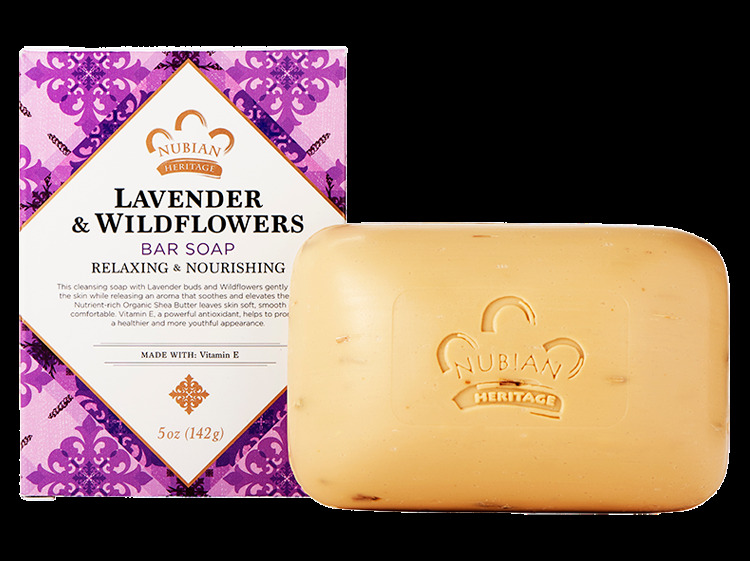 This Nubian Heritage unique Shea Butter blend is enhanced with lavender and wildflowers to soothe skin. Lavender is the most versatile aromatic plant, especially as an essential oil. The line is formulated with Certified Organic Shea Butter and Vitamin E to balance and condition skin, refresh tired muscles, and appeal to the senses.